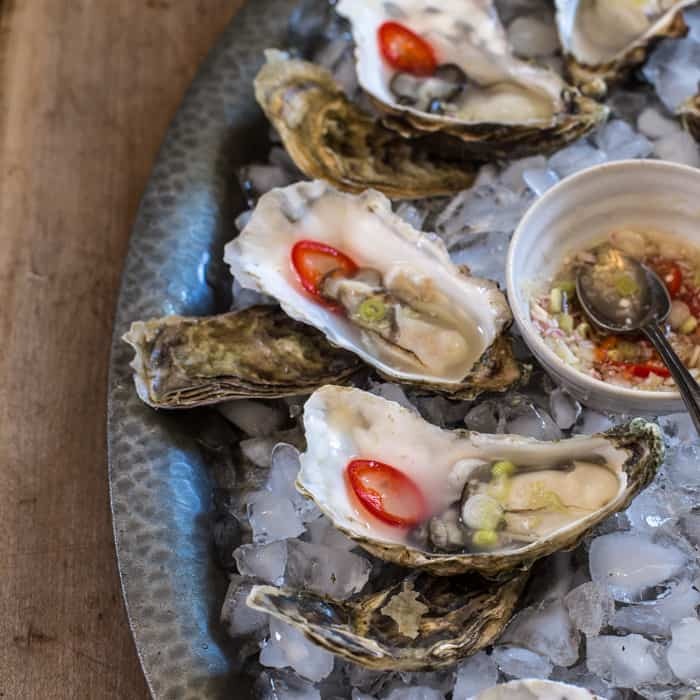 These Lemongrass Infused Oysters bring a decadent Asian hit to a party. They are so simple to throw together, but elegant beyond words. Love Oysters? 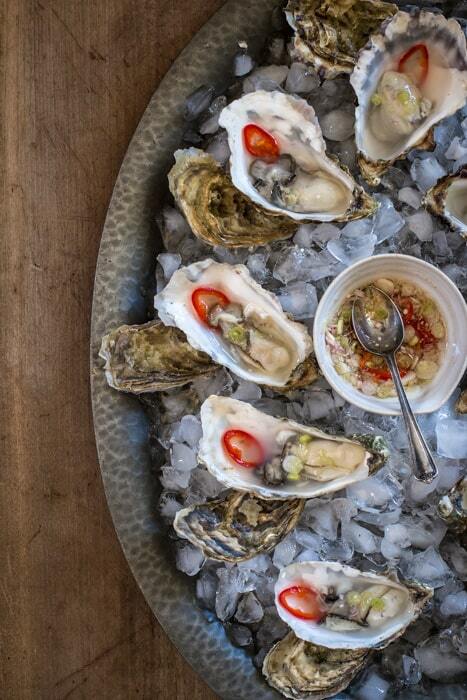 Then chances are you are going to go weak at the knees over these Lemongrass Infused Oysters! 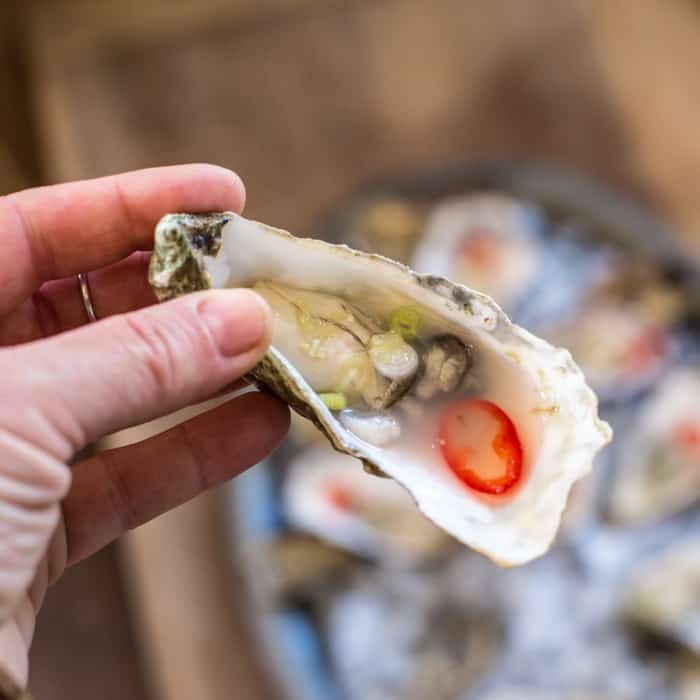 Imagine the sweet, salty juiciness of a fresh oyster paired with fragrant lemongrass, gentle warmth from the mild chilli and the Asian kick of spring onion, sesame oil and the slightest touch of fish sauce. Honestly, it’s a match made in foodie heaven. The dressing is so simple to put together. 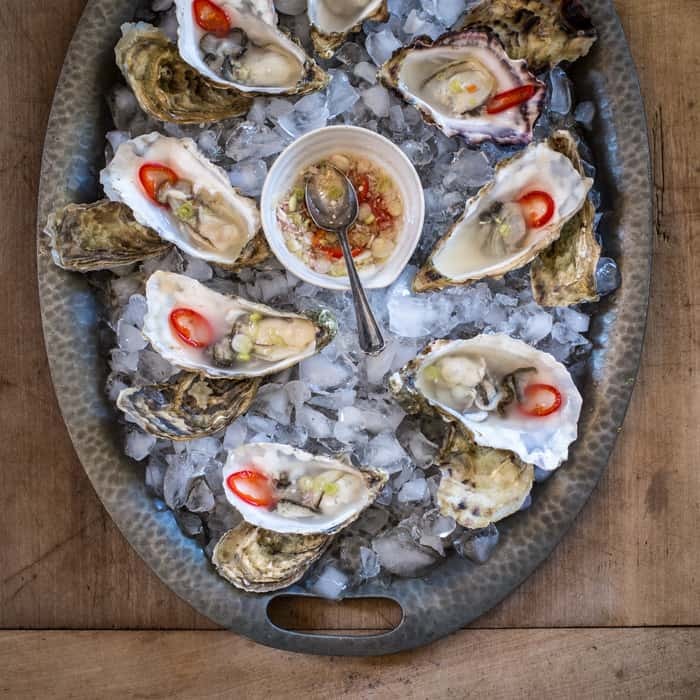 As your guests arrive all you need to do is shuck your oysters, drizzle to dress, and serve like the rock star hostess you are! This recipe has been inspired by Expedia and their fabulous UK Food Map. This great resource lists the best foodie festivals and events around Great Britain, month by month. It’s definitely worth bookmarking and keeping an eye out for what’s coming up in your area. 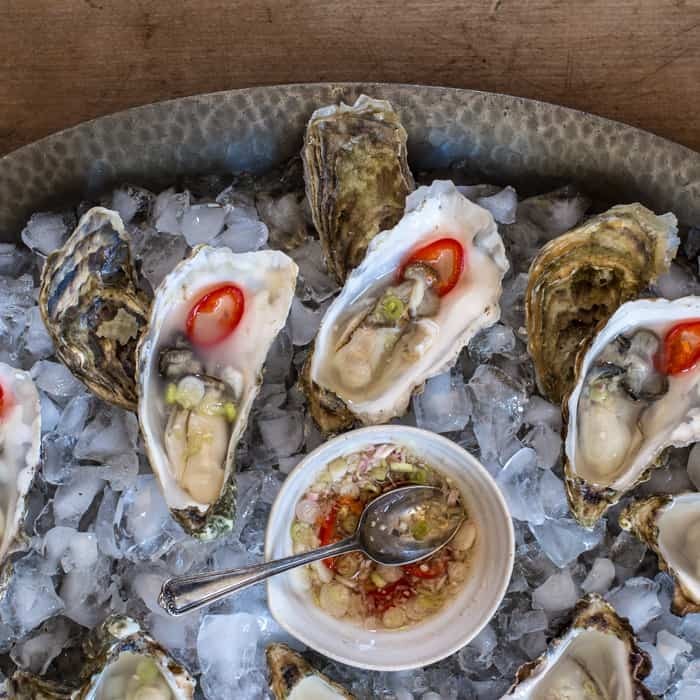 To celebrate all things local and foodie, I was invited to create a recipe showcasing the not so humble oyster, in support of Cornwall’s very own Rock Oyster Festival. This little trio of oyster love has brought about a funny turn of events. The short version being that I’ve been invited to do my first ever food demo on the Food Academy stage this weekend at Rock Oyster Festival. Gulp. So this Saturday, at around 1pm, may I please beg you throw a collective good luck vibe in my general direction?! And if you are as big a fan of Asian inspired dishes as I am, you may want to take a peep at my foraged razor clam recipe. It’s sooooo good! 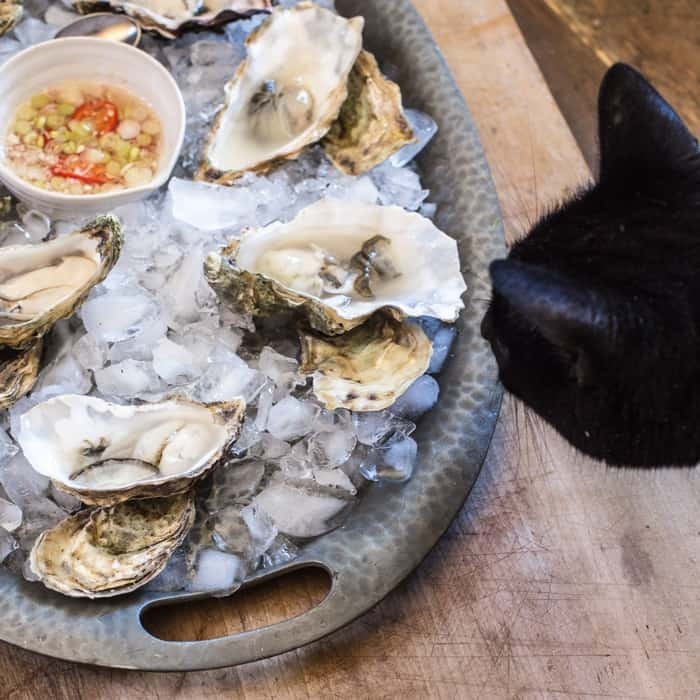 Finally, before we get on to the recipe, here’s a shot of the ever cheeky SassyCat photobombing my oyster sesh! Shuck (open) the oysters and lay out the shell onto a platter of crushed ice. Drizzle a teaspoon of the dressing onto each oyster, and serve with the bowl so guests can add a little more if they chose. Huge thanks to Expedia for supporting local foodie events, sponsoring this recipe and allowing me to continue bringing you tasty recipes, for free. As always all thoughts (and leftovers!) are my own. That infusion sounds heavenly. I love that it brings so much flavor to the oysters. I bet it would be good as a marinade for shrimp. i LOVE the flavor of lemongrass in so many dishes, like soup! 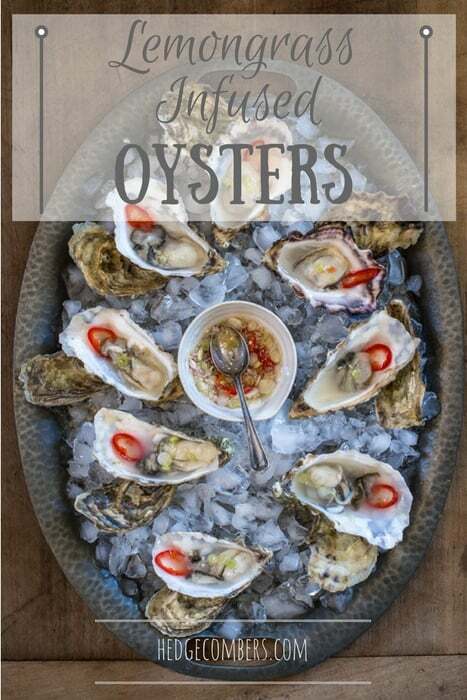 Lemongrass is one of my favorite flavors, but I’ve never thought to pair it with oysters. It sounds great! Love how you added lemongrass to the dressing, sounds very delicious! Great pictures too!